Omega-3s is one of the most researched nutrients on earth and probably one of the best know as well, however, how much do we know as pet owners about the needs of omega-3s for our dogs? Just like their pet parents, dogs’ bodies are unable to make omega-3s and they need a source that provides them with these essential fatty acids. We have identified ten reasons why we believe your dog needs omega-3s. Since many dog diets are rich in omega-6s, it is important that the balance between omega-3 fatty acids and omega-6 fatty acids can be kept at a healthy level. Pet owners should therefore pay special attention when selecting pet food, choosing a product that contains sufficient omega-3s. 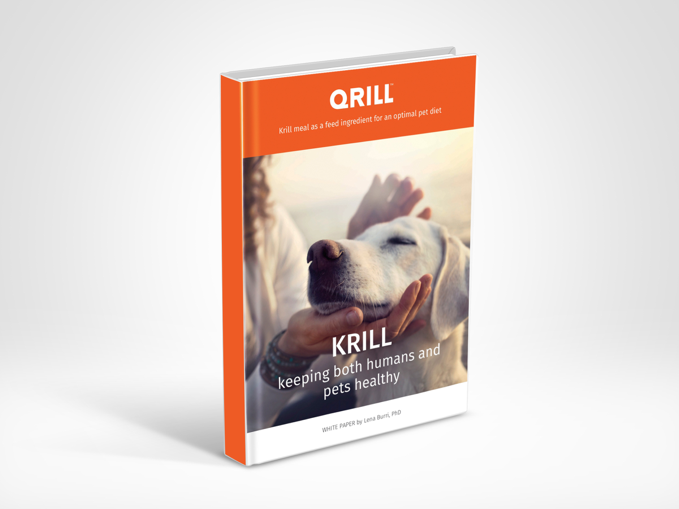 However not all omega-3s are the same and we therefore recommend choosing a product that will be effective in increasing your dog’s omega-3 levels. Many dogs suffer from dry skin and coat condition, especially during the cold winter months when they spend a lot of time in heated rooms - this condition may even worsen. A regular intake of omega-3s can prepare them for this period and help them to feel beautiful inside out throughout the year. Read also about important nutrients for pets. People have been using omega-3s for many year to support their heart health. This claim is supported by several scientific studies. Omega-3s have this same effect on dogs and can help them keep this vital muscle healthy. By ensuring your dog has a healthy omega-3 level, you will decrease their risk of developing heart diseases. Another well known effect of omega-3s are their anti-inflammatory properties, which support joint and muscle health for dogs. Dogs love their play time, which can put a strain on their joints and muscles. Especially active dogs need a sufficient and regular intake of omega-3s to strengthen their muscles and joints, and to recover faster from heavy exercise. Want to see how it works? Take a look at the story of Sigrid Ekran and her dogs. Due to their curios souls, dogs are constantly exposed to germs and bacteria around them. They love to put their noses in every little corner, which makes them vulnerable to diseases. Omega-3s will strengthen their immune system, so they can continue to satisfy their curiosity. Allergies can be a plague, and many dogs suffer from them. These can cause serious discomfort to dogs, such as itchy or dry skin. Omega-3s do support dogs respond to such allergic reaction which might be caused by mold, spores or changing environmental factors. These essential fatty acids will help to maintain a healthy immune system and normal histamine levels. When it comes to brain health, omega-3s have many beneficial functions for pets. That smartest puppy in dog school might have been feeding on an omega-3 rich diet from early days. Omega-3 supports the learning process, as well as having an effect on the overall mental well-being of our four legged family members. Most dogs love to eat! As pet parents we have a huge responsibility to feed our dogs a healthy and well balanced diet, as well as ensuring that we are not over feeding them. Keeping in shape is very important for the overall health of dogs. Omega-3s may be one way of keeping your beloved dog at a healthy weight. We still haven’t found a magic elixir for eternal youth. The same unfortunately applies for dogs. They are not going to stay young forever and we have to prepare them for a healthy old age. Providing many health benefits for heart, joints, muscles, brain, eyes and more, omega-3s are an essential part of their diets to boost their overall health for many years to come. We believe that with the effects omega-3s have on the overall mental and physical health of dogs, you as their best friend can contribute to your dog’s happiness. A healthy dog will be a happy dog. Learn more about phospholipid omega-3s.